Operating Engineers can now register for classes at IUOE Training & Conferance Center in Crosby TX online. Please visit www.iuoe.org to see classes & dates available. OSHA 10 hour certification now needs to be updated every 3 years to be eligable to work under new Heavy & Highway contract. Please call 765-378-0013 if you have any questions. 2019 Pipeline Schedule is available. Please click on Pipeline below to veiw current schedule. We will be offering satellite classes for Orientation, OSHA, MSHA, and all Refreshers at each District office. Please check class schedule for Dates and Locations. � November 10, 2018�Crane operators must be certified. Certifications may be by type alone and must be issued by an accredited certifying body such as NCCCO. � February 7, 2019�Employers must evaluate their crane operators according to specified criteria and a stipulated process. NCCCO is producing a full briefing document on the new rule for public distribution next week. For additional history on OSHA�s Crane Rule, see NCCCO�s OSHA Crane Rule Resource Center. November 21, 2018�Following the publication of OSHA�s Final Rule on crane operator qualifications, and the triggering, on November 10, of the requirement for crane operators to be certified nationwide, NCCCO has published three Employer Guides, one each on the training, certification, and evaluation requirements covered by the Rule. The Guides adhere to the language of the Rule, but the Q&A format employed is designed to make the information more accessible, said NCCCO CEO, Graham Brent. �Since OSHA has identified a three-step process to achieving qualification as a crane operator, it seemed to make sense to create individual Guides for each,� he said. Employers are encouraged to submit any questions not addressed in the Guides to NCCCO at info@nccco.org. 9/25/14 OSHA Extends Compliance Date for Crane Operator Certification Requirements WASHINGTON, DC, September 25, 2014�The Occupational Safety and Health Administration today issued a final rule extending the deadline for crane operator certification requirements in the Cranes and Derricks in Construction final rule published Aug. 9, 2010, by three years to Nov. 10, 2017. The rule also extends by three years the employer�s responsibility to ensure that crane operators are competent to operate a crane safely. The final rule becomes effective Nov. 9, 2014. During the three-year period, OSHA will address operator qualification requirements for the cranes standards including the role of operator certification. The final cranes and derricks rule required crane operators on construction sites to meet one of four qualification/certification options by Nov. 10, 2014. After publishing the final rule, a number of parties raised concerns about the Standard�s requirement to certify operators by type and capacity of crane and questioned whether crane operator certification was sufficient for determining whether an operator could operate their equipment safely on a construction site. The agency published a Notice of Proposed Rulemaking on Feb. 12, 2014, proposing to extend both the deadline for operator certification and the employer duty to ensure competent crane operation for three years. After publishing the proposed rule, a hearing was requested and held in Washington, D.C. Comments from the hearing are available at http://www.regulations.gov/#!docketDetail;D=OSHA-2007-0066. OSHA analyzed the comments to the NPRM and the hearing testimony and decided to extend both the crane operator certification deadline and the existing employer duty for three years. OSHA has already begun the process of developing a standard to ensure crane operator qualifications. Under the Occupational Safety and Health Act of 1970, employers are responsible for providing safe and healthful workplaces for their employees.OSHA�s role is to ensure these conditions for America�s working men and women by setting and enforcing standards, and providing training, education and assistance. For more information, visit www.osha.gov. View OSHA news bulletin (9/25/14). Review top ten frequently asked questions on OSHA's delay of its crane operator certification requirements. Visit NCCCO's OSHA Rule Reopening Resource Center. .
04/23/2013 Background to NCCCO Service Truck Crane Operator Certification (TSS-STC): The NCCCO Service Truck Crane Operator certification (TSS-STC) is a restricted subcategory of the CCO Telescopic Boom-Fixed Cab certification (TSS) and was developed specifically for the industries that use these smaller machines. Service truck cranes are identified by their telescopic boom, where the base and mast structure is not integral to the stabilizer/outrigger system. Lifting is typically accomplished via a winch (electric or hydraulic) and its functions (rotation, elevation, telescoping) are either powered or manual. These machines tend to have relatively shorter boom lengths (10-35 ft) and lower capacities (1-7 Tons) as compared to other Telescopic Boom-Fixed Cab machines (e.g., Boom Trucks, Carry Deck cranes). Additionally, operations are usually conducted by the use of radio remote or pendant control with the operator standing on the ground following the load. Please note that the NCCCO Telescopic Boom-Fixed Cab certification (TSS) covers service truck cranes, as well as the more traditional cranes within the Telescopic Boom-Fixed Cab designation. Operators of service truck cranes who currently possess a TSS certification are not required to also possess the Service Truck Crane certification. TSS-STC restricted certification is intended only for operators of service truck cranes and not for those who operate larger Telescopic Boom-Fixed Cab (TSS) cranes. To be certified to operate all TSS cranes, candidates must achieve the full TSS certification (Core + TSS specialty written + TSS practical). Full details of the Service Truck Crane Operator program will be available on the NCCCO website very soon. To review the FAQ about the Service Truck Crane Operator program, please see the attached pdf document. NCCCO Service Truck Crane FAQ . 10/01/2012 NCCCO will be adding Pre-Operational Inspection and Shut-Down Procedures to All Mobile Crane Practical Exams.. Efective Immediatly Pre-Operational Inspection Instructions: I will ask you to identify 5 items regarding crane set-up that are part of the Pre-Operational Inspection. One at a time, you will describe how you would conduct the inspection and what deficiencies you would look for. Task 5: Safe Shut-Down and Securing Procedures: Before leaving the operators station, please apply safe shut-down prcedures to the crane in preparation for the next candidate. Once complete, please leave the operators station and describe the procedures you would follow to secure the crane at the end of the day. February 1, 2012 - Basic electronic calculators will be permitted for use on certain CCO written exams, the National Commission for the Certification of Crane Operators (NCCCO) has announced. Previously, calculators have been prohibited on all CCO national tests. The measure takes effect July 2, 2012. The change in policy is based in part, NCCCO says, on the results of a study commissioned by International Assessment Institute (IAI), the company that provides test development and administration services to NCCCO. The study, The Effects of Calculator Use During NCCCO Testing, concluded that, while the use of calculators would not be appropriate for use on basic math questions such as those contained in CCO Core exams, their use would be supportable on load chart calculations used on CCO Specialty exams. The Study notes that there are two types of math items used in NCCCO exams: calculation problems that require only the use of basic math skills such as adding, subtracting, dividing and multiplying (items of this type were introduced on CCO Core exams in 2011); and those found on CCO Specialty examinations in connection with load chart interpretation that involve higher order thinking and information retrieval skills. NCCCO will start providing calculators for use at all NCCCO mobile crane written test administrations beginning with exams administered July 2, 2012. �The five-month phase-in period will provide ample opportunity for candidates and training providers alike to adjust to the new policy,� explained NCCCO Program Manager of Test Development, Joel Oliva. Calculators would be available for traditional paper-and-pencil tests as well as at computer test centers, he explained. Due to the changes OSHA has made to its construction standards that require anyone giving hand signals or doing any kind of rigging will have to be qualified in each. We will be putting on a Signal Person & Rigging Qualification Class to address these new regulations for our members. Please check class schedule for dates. Members will receive an Operating Engineers Local 103 ID card with all their certifications and new hand signal & rigging qualifications. Local 103 Members now have access to CAT ACUGRADE G.P.S. on a CAT 336 excavator here at the training site. 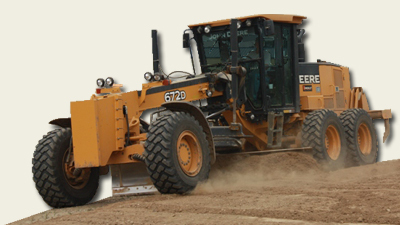 The CAT ACUGRADE System is identical to Trimble GCS 900 System and is ready for training. Please give us a call and schedule a time to take advantage of this great new tool. Have a question about the new rule? Email NCCCO for an answer. © 2006 - IUOE Local 103 Apprenticeship & Training.